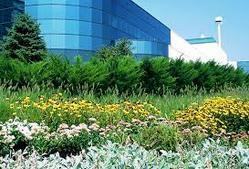 Being an eminent company, we are involved in rendering Corporate Landscaping Service. Keeping in mind all the quality parameters of our company, we are engaged in providing Gardening Services to the customers. Our services are highly acknowledged amongst the patrons for hedge cutting, grass cutting and many more purposes. These services are easy to use and provided as per the quality standards. Besides these, we provide services to the patrons at industry leading prices. Your garden is a precious part of your home and has a lot of potential to add value to your property and your lifestyle, so before you launch into your project take some time to have a serious think about the job at hand. 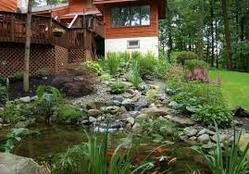 Preparation is everything and NVK LANDSCAPING will take you through this simple following process. Horticulture is the branch of agriculture that deals with the art, science, technology, and business of vegetable garden plant growing. It includes the cultivation of medicinal plant, fruits, vegetables, nuts, seeds, herbs, sprouts, mushrooms, algae, flowers, seaweeds and non-food crops such as grass and ornamental trees and plants. First - Man Management Services (p) Ltd.
FloriPro Services is our flowers distribution organization serving Europe, Africa and the Middle East (EAME). We provide high-quality young plants for perennials, indoor- and bedding plant production, and we also sell seeds and un-rooted cuttings in a broad range of varieties. From Mowing to Edgings to installation and delivery, we have all the services you require in order to establish and maintain a fabulous looking lawn or garden. Our services help you to extend your home life to the outdoors, protect your family from health concerns and even increase the value of your home.